When you’re writing in minor languages, how you write matters as much as what you write. Right now, I’m writing in Standard Formal English. I’ve told myself that that’s because I’m doing a post on Orcadian orthography, and to make clear the distinctions between different approaches I need to write the analysis in a different language. That’s partly true. But it’s also true that Standard Formal English comes more easily to me, because I’m more experienced in writing in it, and because a Standard Formal Orcadian doesn’t exist. Yet. It’s also true that Standard Formal English is attractive because it gets to pretend to be neutral. Like all unmarked things, its surface familiarity lets it pass unseen. When I write in this language you might not quite notice that I’m writing in it, and so all the political currents flowing through it might also go unnoticed. You might not notice that this language, the language that I’m using right now, is the language of the most extensively genocidal settler-colonial imperialism the world has ever seen, is the primary international language of neoliberal capitalist globalisation, is the language most responsible for the erosion of international linguistic diversity, is the primary international language of authoritarian academia, is an established and extensive language of poetry, religion, theatre, and beauty. And that all of these things are built into the words I use, the grammar that forms them into sense, and the orthography that underpins how they appear. I write in minor languages and experimental forms because the thriving of diverse languages is the thriving of diverse ways of thinking. I think that writing in minor languages is poetically exciting, and that doing so helps to support linguistic diversity in thriving, and that writing against English helps to expose the strange and disturbing politics of that global language. I am learning how to write in Orcadian because it is the language of my home, and I care about my home’s culture, and I don’t want us to lose the ways of thinking and being that are tangled in our tongues, and I think that learning how to do new things with old words is learning how to be new things in an old world. But what system of orthography best achieves these goals? How should we spell Orcadian? Here’s a passage of Christina Costie, from her Collected Short Stories. Her prose is a shining literary experiment and vital work of language preservation: it stands as both a modernist remaking of literary language and the strongest and most aurally accurate body of published dialect work Orkney has ever had. She deserved to be better recognised and better supported, and I’m glad that Ragnhild Ljosland’s Chrissie’s Bodle has begun the work of fully acknowledging the work. The orthography here serves to mark out the key pronunciations of spoken Orcadian. It creates a language for both dialogue and narration that accurately reflects the way that Orcadians speak, and it does so carefully and consistently. Moreover, it preserves a remarkable specificity of place: it is not a standardised Orcadian, but one specific to the Walls/Waas region of Orkney the story is set in. Often small differences in orthography reflect cultural differences between speakers, and code-switching from the same speaker in different circumstances. Thus we have “peerie” rather than the “peedie” of other parts of Orkney, and (in other passages) a more Scots “aald” rather than a North Orcadian “owld”. Similarly, what would be translated as “it” into Standard English is both “hid” and “’id” depending on sentence position. This approach enables a flexible, subtle orthography that can convey important social and emotional effects. However, this approach is also in debt to English, and submits itself to English superiority. The most obvious aspect of this is the apologetic apostrophe, showing letters that are “missing” from the “proper” English version. Thus the Orcadian for “and” is rendered as “an’”, despite that D never having existed in Orcadian to be marked as missing. Even were we to remove all the apologetic apostrophes from this orthography, as in Lamb, Flaws et al’s work, there are other English dependencies: spelling in this orthography is used not so much to accurately render Orcadian but to mark Orcadian’s difference from English. Thus the English “hand” is in this Orcadian “haan”, and the English “off” is in this Orcadian “aff”, but the A sound is the same in both Orcadian words. The double A in “haan” is used because to use the single A would not alter the spelling from English, and therefore not indicate that the A sound here is different than the A sound in the English “hand”. Costie’s Orcadian also thus inherits many of the bizarre spelling inconsistencies of English, one of the most difficult languages in the world to learn how to pronounce because of its many fossilised anomalies. The “ae” of “saesed” and the “ai” of “baith” are (or can be, dependening on the region of Orkney) pronounced the same way, but there’s no way of knowing this unless you’ve already heard it; similarly, the “ee” and “ie” of “peerie” are the same sound. Unless you’ve heard them already, or apply some of the rules of thumb of English, themselves always inconsistent, you wouldn’t know that the “ie” of “quiet” is different than “peerie”, or that the “i” in “quiet” is the same as in “silent”, but different from the “i” of “hid” and “bitterest”. All this means that while Orcadians can read Costie’s Orcadian accurately out loud, non-Orcadians are lost. This also means that a dependency on English is built into the very bones of Costie’s Orcadian, which risks perpetuating the idea that Orcadian is in someway inferior to English, or derived from English, rather than an individual language that has evolved autonomously from but in dialogue with English. This in turn risks perpetuating some of the ideas which have held back Orkney language literature and which were often reinforced by the Orkney literati of the 20th century: that Orcadian is suited only to comic material or Orkney subjects, that Orcadian lacks the full expressiveness of English, that Orcadian cannot be used to write about intellectual matters. Costie’s work stands against those ideas, but the orthography holds the seed of them. This approach – preserving local speech-forms while using English orthography – is used by Lewis Grassic Gibbon is his novels, and is also frequently used for the dialogue in contemporary novels set in Orkney. I particularly dislike this approach in the latter case, because those novels’ authors have a tendency to inaccurately render or completely lose local speech forms: you’ll see “Aye” and “peedie” and “lass”, but you are much more likely to find “before too long” than “before long comes short”, and you’ll certainly see “to borrow” rather than the correct Orcadian grammar “for the lend of”. With a very attentive and careful ear like Grassic Gibbon’s the effect of this orthography can be powerful, but I am still suspicious of the approach, which I think tends to erode local pronunciations, and I am also sad that the expressive power of local pronunciations is not recognised. Some grammatical forms are also inevitably lost: Orcadian preserves a case distinction between verbal nouns and present continuous tense, so that the English “I’m knitting my knitting” is translated into Costie’s Orcadian as “A’m knittan me knitteen”. The only advantage of this approach is that it makes accessible to an English-reading public the unique words and (if properly used) speech forms of a minor language. A strong-willed Orcadian would read aloud both examples above in the same way, but I suspect that as Orkney language is eroded by a dominant English-language culture this will become less and less likely. I mainly do this to set it up as a straw man: to me it seems like the worst option so far. Because Scots is also a minor language, it is marked to our eyes and ears: it does not have English’s ability to vanish behind unmarked privilege. That is to say, while an Orcadian might read aloud the English-spelled passage in Orcadian, they would almost certainly read the Scots-spelled passage in lowlands Scots. While Scots spelling is designed to encompass as wide a range of Scottish dialects as possible, it just can’t cope with the major vowel shifts north of John o’ Groats: the Scots “cauld” is as distant from our “cowld” as is the English “cold”, and in the reading “cauld” would displace “cowld”. The motivation behind this approach would be to contribute towards the broad Scots language project: to continue the work of the Scots Renaissance of creating a national language for Scotland separate from English. I do not believe in this project. I do not use a minor language because I want to create a new state, but because I am interested in political possibilities beyond the state. Moreover, I think few if any Orkney writers would get behind that project, because Scotland and Scots is seen as as much of a colonising force in Orkney as English. Orkney Norn was largely eroded/displaced/incorporated by Scots long before Scots was in turn eroded/displaced/incorporated by English. However, there are two points of interest for me here. The first is the choice of words. Access to the full lexicon of Scots does expand the possibilities for a literary Orcadian: it’s nice to have “stroungest” as a potential alternative to “bitterest”, and that hugely expanded lexicon is what gives syncretist Scots poetry its overwhelming power. Such a choice would be inauthentic to spoken Orcadian, but what is authenticity? The second is that Scots is increasingly incoporated into Orcadian, and so an authentic contemporary Orcadian vernacular should reflect that. An Orcadian of my age is more likely to say the Scots “yer” than the Orcadian “thee”, and some are as likely to say “wee” as “peedie/peerie”. To write accurate contemporary Orcadian dialogue in prose would have to use some aspects of Scots. This approach achieves a few things well, I think. Although there is the obstacle of learning a new way of deducing sounds from spellings, it can be sounded as well by a non-Orcadian as an Orcadian. Personally, as a mixed Orcadian/Scots/English speaker, I find it easier to read consistently in this Orcadian than Costie’s Orcadian, because I am never misled into Scots or English pronunciations by commonality of spelling. This orthography also helps to make more apparent Orcadian’s connection with Nordic languages. Because the distraction of English is more removed, we can more easily see the words that come directly from Old Norse, and the influence of Norse on the languages of the British Isles. More than one Scandinavian reader told me they could see reflections of their own language clearly in my last post, which didn’t happen to any of the previous ones, written in a more Costie-like Orcadian. Politically and culturally, this may be significant – though not as significant as the decisive minor language break from English, which pleasingly satisfies my aims. There are, however, major and perhaps fatal disadvantages. The first is that it is hard to learn, and has to be learned. Minor concessions to similarity with English (restoring double-consonants, say, or use of “y” for “ai” and “ee” sounds when used that way in English) might help, but would detract from the purity of the approach which is its sole purpose. The second is that it looks like a child wrote it, and so it risks being read as a naive language. I have little patience with this idea, because I like how children think, because no language is naive, and because children’s spelling is much more intuitive than so-called proper spelling. “Peeree” is more intuitive than “peerie”, “dor” than “door”. The second is that, by standardising Orcadian, this approach erases local differences. One Orcadian writer pointed out a few things that jarred to her ears in my last post, because I’ve biased this orthography to North Isles (specifically Westray) Orcadian. In other words, a standard Orcadian suffers from the same faults as a standard Scots. The third, and perhaps most important, is that this approach breaks not only with English but with both all the language-preservation work done so far and with popular understanding. 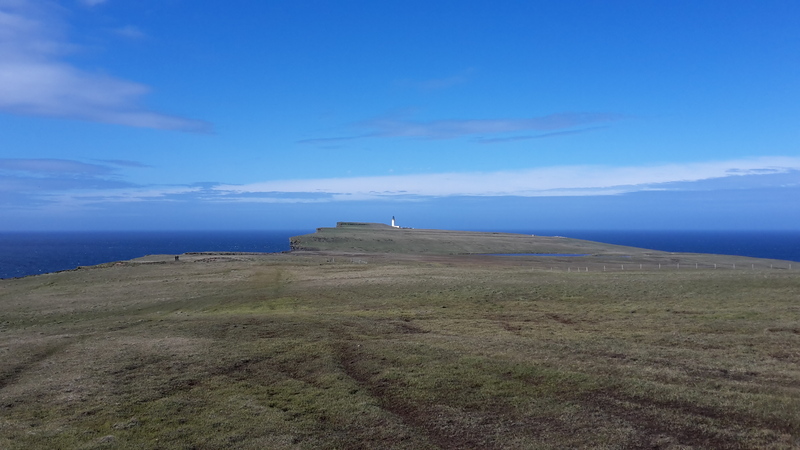 The Orkney Wordbook, The Orkney Dictionary and contemporary Orcadian writers all use a variant of the literary Orcadian established by Rendall and Costie. Everyone here spells it “peedie” and not “peedee”, and that’s fair enough; to insist on “peeree” over “peerie” and “ai” over “aye” and “wei” over “wey” is hubristic, detached from local tradition, and risks being so obfuscatory as to find no readers. It’s an Orcadian that’s an interesting literary exercise, but does not to me feel like it belongs to a running thread of Orkney literature. If my political interest is not just to write in a powerful Orcadian myself but to support Orcadian writing, I certainly wouldn’t want to enforce (or even necessarily encourage) this orthography, interested as I am in it. So, how should we spell Orcadian? How should I spell Orcadian? How should you spell Orcadian? I don’t think there’s a single answer to that question. I think different approaches to Orcadian orthography have different effects, different audiences, and achieve different political and literary results. I’ve explored five orthographies here not in order to come up with an answer but to think about what different ways of writing might achieve: not to close down posssibilities but to open them up. There is power in standardised languages, and especially in the standardising work of dictionaries and grammars for minor languages: they support people in writing, they preseve words and speech-forms, they provide a locus for organisation. But at the same time I think we need to be free to bend and break rules for different aesthetic results and social meanings – in minor languages, but in English too. I’m interested in minor languages in general and Orcadian in particular because I want to proliferate ways of speaking and thinking, to spread diverse ideas, tongues, and people. I’ll likely keep shifting and changing the way that I speak and write, and I think you can as well. familiar Orkney diphthong. So ‘grows gress’, like all of this, is a compromise using English so as not to narrow a narrow audience even further. A reading aloud is the only real way to clarify; as Tom Leonard says ‘in the beginning was the sound’. I share the political impetus to make things as Orcadian as I possibly can, but within reason, and I don’t like to bewilder readers completely. As for the apologetic apostrophe – isn’t it a grovelling apostrophe? WRT “peerie” – I think there’s a useful distinction that you’ve let slip by you there… The “ie” in Scots-based orthographies typically denotes an unstressed /i/ sound. Typically an “ee” syllable would be made weak in a position adjacent to the stressed syllable in almost all anglo-saxon-derived tongues, but English y/ie / Scots ie is different, retaining its full vowel quality regardless of position. I’m personally in the camp that believes that orthographies should primarily be phonemic rather than phonetic.